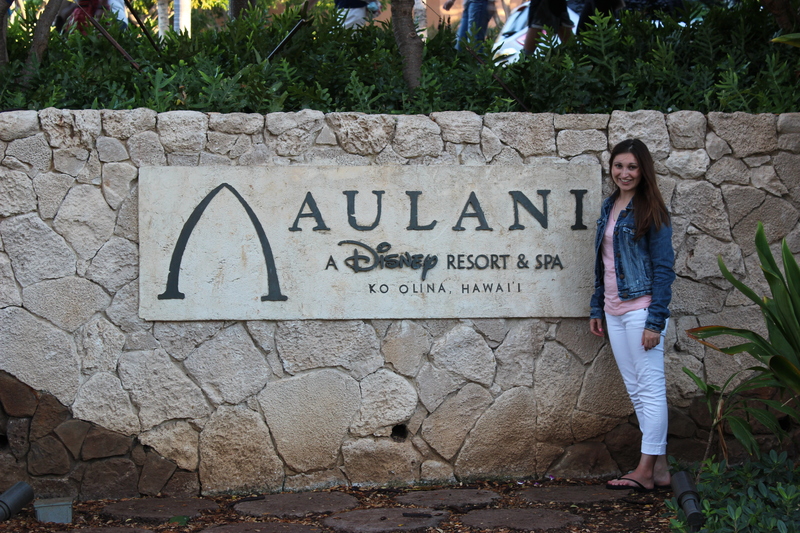 Disney Aulani Resort and Spa. Families young and old love the entertainment and hospitality that Disney has to offer while staying at Disney resorts. That’s one feature Disney is good at and keeps guests coming back year after year, but what many guests visiting Disney theme parks and hotels don’t know is they can now travel to Hawaii to experience Disney’s Aulani Resort and Spa nestled twenty minutes from Waikiki in Oahu, Hawaii. Aulani Disney resort and Spa was opened in 2011 and was named Travel & Leisure’s 2014 World’s Best Winner for Top Family Resort in the United Stated. 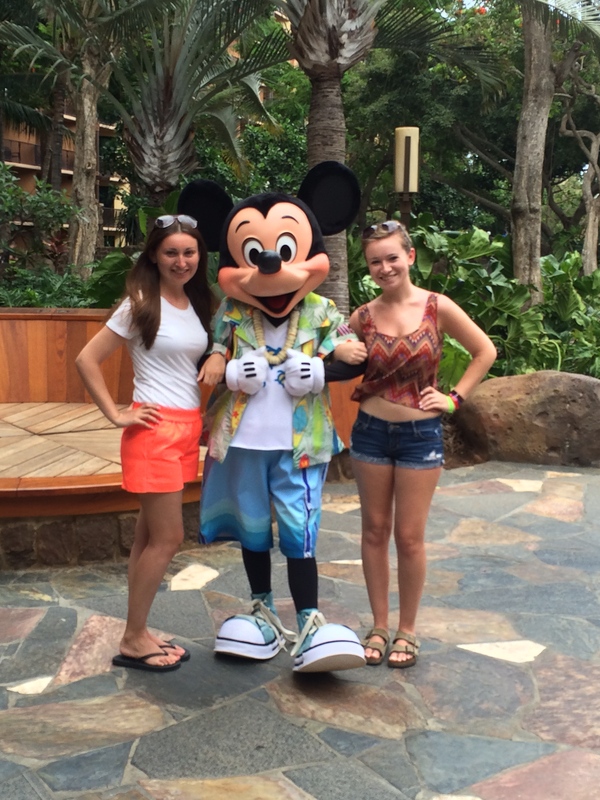 With its Disney charm and Hawaiian touches, this resort will not disappoint Disney fans alike looking to embark on a relaxing getaway with some of their favorite Disney characters. With over a hundred: one and two bedroom suites looking over Disney’s private Ko’Olina Lagoon guest can get a perfect view of the beautiful scenery that Hawaii has to offer. The resort also offers villas for larger families looking for access room, and kitchen areas to cook their own food. Rooms vary in price per night depending on which room guest choose and when they will be traveling, however Aulani offers special seasonal rates and packages through the year. The resort also includes several amenities such as Aunty’s Beach House, which is a kids play area with crafts, activities and character meet and greats. Looking to cool off? The resort offers a handful of pools to choose from including adult only areas, a lazy river, a coral reef lagoon for snorkeling and much more. If the family is looking to get sometime at the beach no need to leave the resort, Aulani has its own private lagoon with beach chairs and beach rentals ranging from $15 to $30 USD depending on the rental. Aulani also offers excursions around the island, which can be booked prior to arriving or as soon as guest arrive. A list of daily activities can be found in the lobby and is a great way to know what will be going on throughout the day. Disney’s Laniwai spa is an experience like no other. I highly recommend any of their spa treatments to anyone looking to relax. Don’t forget to arrive an hour before your appointment to enjoy Kula Wai: Outdoor Hydrotherapy Garden, which will leave guest relaxed and rested. 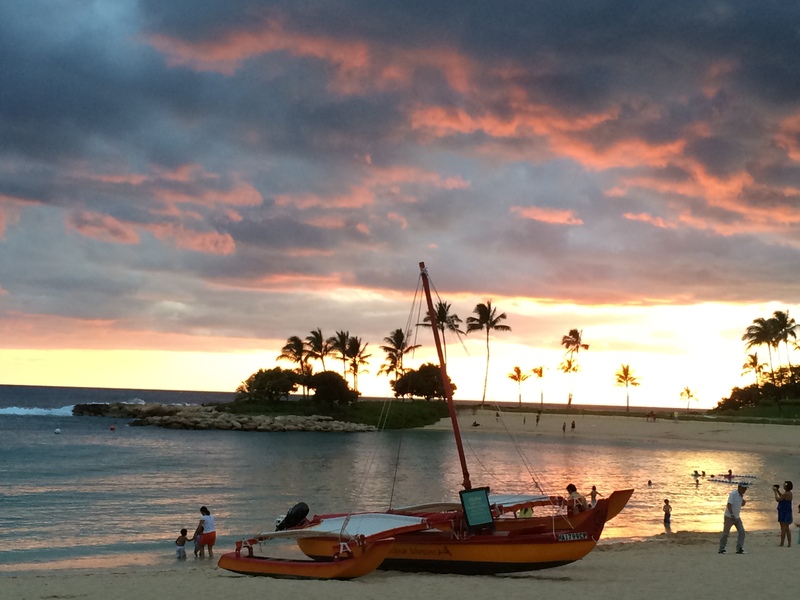 Aulani offers guest a 24-hour fitness center, with morning fitness classes held on the beach. I recommend arriving fifteen minutes prior to the initial start time because classes fill up fast. What would a Disney Resort be without the entertainment? Aulani does a fantastic job incorporating just enough Disney without taking away from the Hawaiian traditions and culture. There are Disney movie nights, story telling under the stars as well as a Disney Hawaiian Lulu featuring some favorite Disney characters. Looking for something to eat? Aulani has three main restaurants all of which include different themes and menus. For a couples night out I recommend “AMA-AMA’, which overlooks the lagoon and is a great spot to try some local food and watch the sunset. 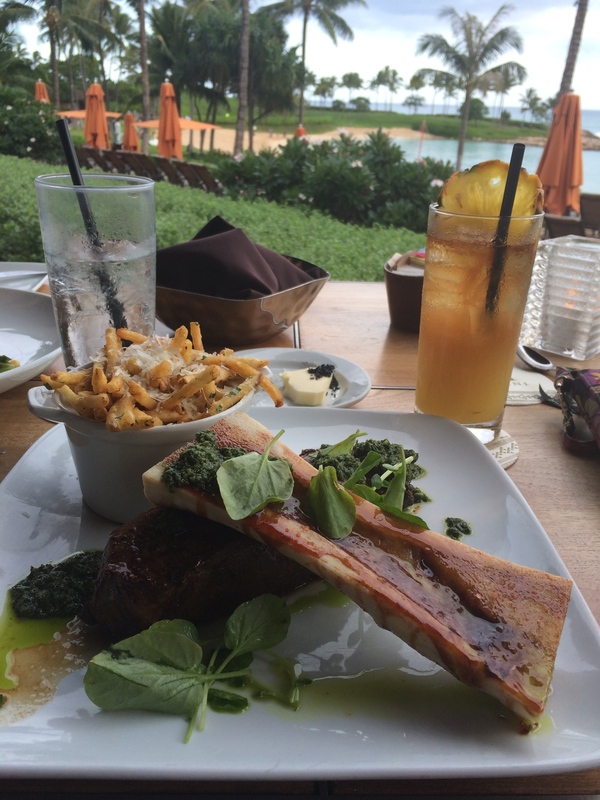 For families I recommend MAKAHIKI, which is a typical buffet style setup with local Hawaiian dishes. What’s unique about MAKAHIKI besides its family-dining atmosphere is that Aulani offers a Disney character breakfast and brunch, great for families of all ages. I recommend booking in advance because this is a popular restaurant in the resort. Guest who are not in the mood for a full course meal can try one of Aulani’s bars, snack shacks, cafes, or shaved ice station. Don’t forget to stop by LAVA SHACK for Disney’s signature Dole Whip!